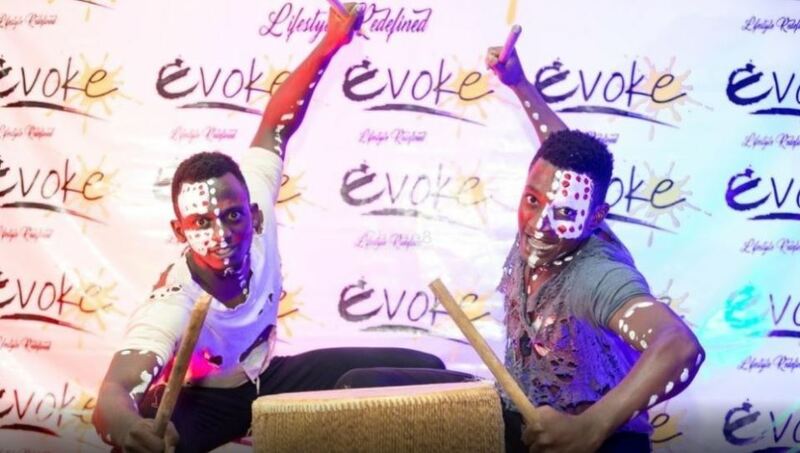 Evoke Night is set to return with a 3rd season premiering on 26th April 2019 at Lugogo Forest Mall Parking. The Evoke Night is an all-round expressive stage that features raw-unedited talent from the best of the Arts. With new sponsorship from Club Pilsener, Evoke Night Season 3 will have a refreshed feel, bigger stage, wider national talent search and crazy talent that truly showcases Uganda. Edgar Kebba a.k.a DJ Ssesse who plays on XFM breakfast alongside Maritza was first discovered on Evoke Season two. The former daytime engineer has since booked himself gigs like Burna Boy’s meet and greet party and Bhovamania Kla feat. AKA. Evoke which is now sponsored by Club Plisener will launch later this month. 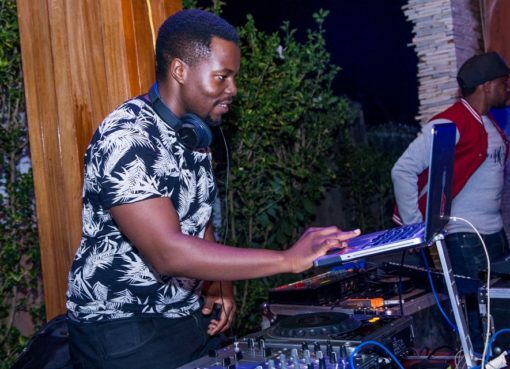 For every first Sunday of the month, you can bear witness to Sesse’s sick mixes at Alchemist Ciroc Brunch, and Sky Lounge Lava Saturday every last Saturday of the month. If you are a Panamera regular, these appearances are only the tip of the iceberg for DJ Sesse when it comes to his profound success this year. Lus’s name popes up every time one thinks of poetry. He’s the true mouth piece for the poetry industry and he steps up his performances in his spoken word every time he’s called upon on stage. Lus’s career brightened on the evoke stage and since then he has written his name among the great poets we have in this nation with performances at National theater and comedy shows like Rock comedy with the likes of MC Mariachi and Patrick Salvado. Laker is a poetic queen on stage who grabs her crowd’s attention with her rhythmic lines adding feminine touch to all her pieces. Evoke opened her moment of fame in 2017 and since then, she’s performed on big stages like the Ntebeza poetry nights, open mic Uganda and the Kampala Geopolitics conference. She’s also set to perform at “A son for a daughter” poetry production by Katochi at the Nation theatre and Ntebeza Poetry night hosted by Anne Kansiime at Kubbys Bar Naalya, all on 10thApri. Allan and Kats aka The Evoke dancers move the audience with stunning moves on stage. Their fame came to limelight on the evoke stage thus getting the name Evoke dancers since the season premiere in 2017. This has seen them perform on big stages such as the mash-up Hip Hop, Zina Swosh dance competitions, Batalo dance competitions and the French embassy organized Geopolitics conference at Makerere university where these dancers overwhelmed their audiences during their performances. Noble, the mouth beat maker whose journey started at the evoke stage has made himself a brand through his production of the different versions of instruments through the use of his voice. Because of his good skills in making beats, he is Evoke’s official beat maker since he showcased his talent at the evoke stage. He also continues to make beats through Acapella music. 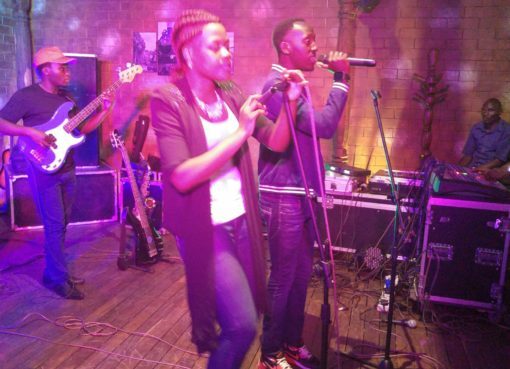 Adore the vocalist has established himself as one of Kampala’s finest band singers and if you happen to be a regular at Olive’s restaurant on Fridays and Brisk on Thursday, then you know the super talented Adore who entertains the party lovers at night. Evoke stage lightened his candle high and since then he has never looked back. He has had appearances on the Sofar acoustic internet shows and has also become a regular at most gigs and bars in town. Having showcased at shows such as PAFAs 2018 and Little Miss Universe Uganda 2018, Qris- Fashion has established himself in Uganda’s fashion industry and all this was unveiled first at the Evoke stage where he executed his art very well and has been the official fashion producer at Evoke with his team at Dynasty hose. Qris is currently in pre-production of a Bata campaign dubbed, “Revolution of style” and producing a TV show called “Spelling Bee” presented by Shaban Sseyange that is currently airing on ITV in Tanzania and set to air allover East Africa in a couple of months. The Evoke Band full of multi-talented instrumentalists with skills that turn them into e phenomenal group of musicians have also built their fame at the evoke stage and they recently performed at the Neon Bridge in Jinja and this has aroused a lot of offers from a number of bars and gigs in town. The four grouped band is also the official band at Evoke.